Problems only get bigger when someone not qualified works on our cars! What should you look for when choosing an auto repair shop? Be sure and look for a repair shop prior to needing one. Ask your family, friends and other people you trust. Online reviews can help too., Facebook and other media is a great way to find a local mechanic. Looking around for the best track record and warranty policy can also add to your confidence in an auto repair shop. Ask to see current licenses if state or local law requires repair shops to provide them. 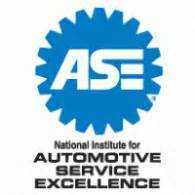 Another tip is look for shops that display various certifications — like an Automotive Service Excellence seal (ASE). Certification shows that some or all of the technicians meet basic standards of knowledge and competence in specific technical areas. All certifications should be current, but remember that certification alone is no guarantee of good or honest work. Taking the mystery out of repair cost. Before you any work done on your car, ask how the shop prices work. Some shops charge a flat rate for labor on auto repairs. This published rate is based on an independent or manufacturer’s estimate of the time required to complete repairs. Others charge on the basis of the actual time the technician worked on the repair. Be sure and ask if there will be a diagnostic charge if you decide to have the work performed elsewhere. Many repair shops charge for diagnostic time. Always ask for a written estimate prior to getting the work done..
• It should clearly identify the condition to be repaired, the parts needed, and the anticipated labor charge. Make sure you get a signed copy. • It should state that the shop will get your approval before they do any work exceeding a specific work outlined in the estimate. State law may require this. • New — generally these parts are made to the original manufacturer’s specifications, either by the vehicle manufacturer or an independent company. The state you live in may require repair shops to inform you if non-original equipment will be used in the repair. Prices and quality of these parts vary. • Remanufactured, rebuilt and reconditioned — generally these terms mean the same thing: parts have been restored to a sound working condition. Many manufacturers offer a warranty which covers replacement parts, but not the labor to install them. • Salvage — used parts taken from another vehicle without any alteration. Salvage parts may be the only source for certain items, though their reliability is seldom guaranteed. Get a your repair order describing the work done. The repair order should list each repair, parts supplied, the cost of each part, labor charges, and the vehicle’s odometer reading when you dropped the vehicle off to be repaired as well as when the repair order was completed. Ask for all replaced parts. State law may require this. Follow the manufacturer’s maintenance schedule in your owner’s manual for your type of driving. Some repair shops create their own maintenance schedules, which call for more frequent servicing than the manufacturer’s recommendations. Compare shop maintenance schedules with those recommended in your owner’s manual. Ask the repair shop to explain — and make sure you understand — why it recommends service beyond the recommended schedule. Keep in mind that there is no “standard warranty” on repairs. Make sure you understand the scope of what is covered under your warranty and always get it in writing. Warranties may be subject to limitations, including time, mileage, deductibles, businesses authorized to perform warranty work or special procedures required to obtain reimbursement.. Owning a Used Car or a New Car is a big responsibility. With the right repair shop with skilled technicians and a little bit of homework, you can avoid a lot of the pitfalls and enjoy your vehicle for years to come! We can help you stay on the road! Mario or Mike will be happy to assist you. Why Choose Highway Motors Repair Shop? Your Mechanic Gone To The Dogs? Bring Your Car To Highway Motors. ASE Certified. Brakes? Front End? Wheel Bearing? Engine Component Replacement or Repair? Sure Glad We Went To Highway Motors! !